Statuary Bronze or Black Oxide finished steel bolts for joining wood together. Ideal knock-down fitting for rapid assembly and disassembly of knock-down furniture. Cap Nut and Cross Dowels sold separately and fits all length bolts available below. They worked well with the threaded inserts and look nice on the crib I built. These bolts were a great addition to the convertible baby crib I built! I have used these before and they all are very strong and the color is the same on all bolts in the package of eight. The price is fair also, I bought some that was over a dollar each. These bolts were exactly the same as originals needed to put furniture back together. Bought these bolts to go with the dowels we purchased. We had looked everywhere locally and couldn't find them. After research found this company and we could complete our order. Very excited. They have everything you would need. My grandson is now happy his bed is back together! They are a depicted and what I ordered. Quality product with a variety of sizes & colors to choose from...lightening fast delivery too!! Used these connector bolts and caps on my shelf unit that was leaning slightly out of square. They were easy to install, worked great and look custom. Rockler service is first rate. I definitely recommend Rockler for your woodworking needs. Rockler's connector bolts were so much easier to work with than original bolts in securing bunk beds that we've had for years. Although we only needed 2, we replaced all of the bolts on the beds and couldn't be more satisfied. A great product. I use these connectors for assembling a platform storage bed I made. Looks great and worked well. Used to connect foot board with sides and middle support. This was the first time I used this connector. They were great for the project I was working on. It made the whole thing look great. Will use them more often. 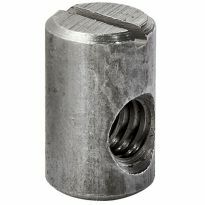 These bolts are great for fastening multiple layers of wood, for many projects that require a partial disassembly or even as a substitute for a large wood screw. Commonly used with metal cross dowels to assemble furniture parts, they can also be used with different types of Tee nuts. The 1/4-20 thread requires a 4 mm Allen key to tighten them and they have an attractive finished appearance that does not require a washer or plug. While building a project from Wood magazine, it called for these fasteners which I had never used before. They worked great. When screws don't work. This works! The head was larger compared to the original bolts, but bolts were perfect to reassemble my son's loft. I used these bolts to assemble my wife's new sewing cabinet. Used with "T" nuts they hold strong and look great. This is a very versatile fastener with a good strong head. I used these with threaded inserts, their matting nuts (another part of these you can order. I was glad to see the matte black ones available, too! They are a bit expensive and should be offered cheaper in larger quantities. I would also like to see a SS color available, soon. THE STATUARY BOLTS WORKED EXACTLY AS I WANTED THEM TO. I used then on a crib I built for my grand daughter. Used the connectors to link floor to ceiling bookcases. Color was lerfectpe and the depth of the connectors gave me flexibility. My futon couch is now functional again. When I bought it the couch came with what could only have been defective bolts that broke one after the other until the couch collapsed. I used these and the threaded connectors to repair my wife's gliding rocker. Everything fit perfect. I got a poker table plan from New Yankee Workshop and the plan called for these Connector Bolts. I have used the bolts in the past on many projects that I've built and they work great. The only hangup I have is that they don't come in different finishes, like chrome, brass, black or any other disigner finish. The finish does not downgrade the quality of this product. I built some garage cabinets that I wanted to be able to break down into individual boxes if I move and these were ideal for the task. I will mention that I did not notice that male and female are sold separately, my mistake but worth mentioning to interested buyers. I will also mention that they are too long to countersink in two 3/4&quot; pieces. Again pretty obvious but worth mention. Speed and quality from Rockler seems every bit as promised. Thanks! I found these bolts to be just what a needed for the guitar stand I built my husband out of barn wood. It was essential that the horizontal braces be sturdy and easy to disassemble. I am so pleased with the support they offer and how nicely they blend with the wood. Used the connector bolts to connect book cases to a center console for the TV cabinet. Worked great and looked professionaly done. I decided to use these connector bolts on a modular bed project, and I couldn't be happier with them. They hold the under-bed dresser pieces perfectly in line and they look great! These bolts are perfect for my problem of a splitting hardwood chair leg with castors. The fine finish blends well with the mahogany wooden chair and the strong bind achieved will prevent further splitting of the leg. The product was superbly described on the website, and measurements were spot on ! Well done ! These are very attractive hardware for use in nice projects. I built the Rockler crib/daybed/fullbed project and it looks terrific. This is my second order for these bolts. 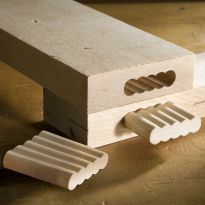 I am using them to build a Quilt Ladder featured in Wood Magazine earlier this year. I made one for my wife & it has been requested by a friend, so I am building another. They work great and live up to all my expectations. I built approximately 20 modular bookcases which were tied together with these fasteners vertically and horizontally. They worked great! Used on my deck furniture to replace the rusted failing connector bolts. Much more solid then bolts being replaced. It would be nice if the bolts came in 1-1/2&quot; length. 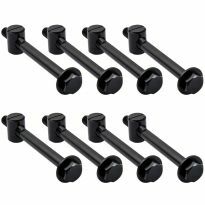 I had used these connector bolts before for connecting the sections of an entertainment center that was 8 feet tall and 8 feet wide. They worked great on that piece. This time I am using them on a cabinet bookcase that must be made in sections in order to get it into a basement. These bolts will hold the sections together very well. My only wish is that I could get them in white. In 1982 when I made my first crib for my son there were no suppliers for crib hardware in Phoenix (thanks for the Internet!). I'm now on my second crib in less than a year, this time for my grandson due in March. 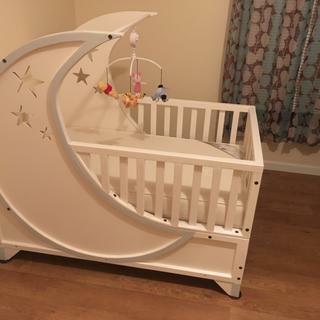 The plans were purchased on the Internet (search &quot;Sleigh Baby 3-in-1 Crib bed Nursery Furniture Plan&quot;) and modified to meet my daughter-in-law's desires. The connector bolts hold the posts to the sides and front/back rails into a threaded 1/4-20 insert. You will need a 4mm allen wrench to install the connector. We made them work for a repair project. It would have been nice to have option available for smaller diameter head. We had to enlarge the counter sink hole on a European chair to accommodate these. They worked fine for a bed frame. You do need the hex head power bit because the heads are soft and damage if you dont use the proper bit. Everything was fine, except that my wood was a trifle thicker than 3/4", and I had trouble getting the bolts to thread into the inserts. If I could have had bolts about 1/4" longer, no problem, but I had to do a bit of fiddlin' to get things tightened up. I have used these connector bolts on three projects now and like the setup as well as the look. First was a platform setup for my bed,they hold an infrastructure that can be taken apart for moving day, secondly the desk shown, connecting upper and lower sections.Third was a corner plasma stand with a formed cantilever that holds the center channel above the TV. The given info helps determine length to be used. Only complaint, possible round out of allen slot if torqued.Will definitely use again! I ordered connector bolts expecting to receive both bolts and cap nuts. The delay to order cap nuts(as well as additional shipping) was frustrating. I am building a set of temporary kitchen cabinets and to keep the cost down I am using MDF for the entire cabinet, doors and face frame. To connect the cabinets together after they are partially hung and after many hours of trial and error I found these connector bolts work the best. MDF doesn't hold screws very well and split the face frame material even with predrilling. I have learned now to make the face frames from wood. the large heads on the bolts keep them from pulling through. They look nice as well. Pay attention to the tech info because it is easy to to order the wrong length. 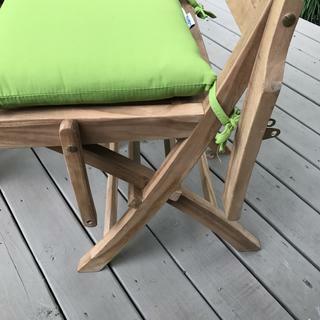 The product was great and replaced the missing connector bolts in a glider/rocking chair. However, the head size was much bigger than I expected. The head of the bolt would not fit down into the counter-sunk holes where the previous connector bolts had been. I simply left the head showing and it worked fine, but it would be nice if more measurements were included with item descriptions.Editor's note: more measurement info can be found in the link under the &quot;Tech Documents&quot; heading in the left hand side bar of this offer. I purchased these connectors to replace hardware lost for a baby crib. Needed for a project I am building. 3-in-1 bed design. g-kids say "thanks rockler"! Woops, just realized the reviews show up separately. 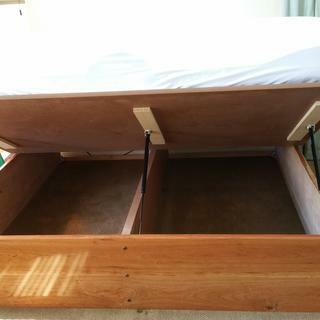 My husband needs these and 2 other items to build a bed frame from the plans in his Wood Magazine. This is a mild-decorative connector which also is very strong. only place I could find the right size. Thank God for Rockler. 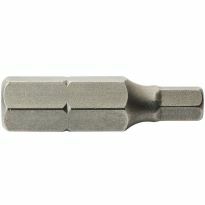 I will be using this in conjunction with the Hex Drive Threaded Inserts from Rockler for knock-down furniture. This is great hardware for modular furniture components. I wanted to connect 2 bookcases. I've used connector bolts before and have found them to be very effective. I could not find the length I needed locally, so ordered here. Decorative head to attach legs to stretcher. One of my industrial arts student's projects calls for them. BEST ANSWER: The version carried by Rockler is Item #31856 which is 8 pcs of 2 3/4 Statuary Bronze Bolts with a 1/4-20 thread. The threaded portion is about 1 5/8 in long. They also sell cross dowels which are 5/8 in long and 3/8 in. in diameter with matching thread. These appear to be unfinished mild steel and would be prone to rust. 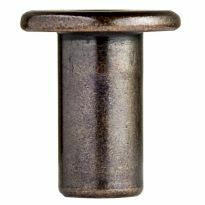 Cap nuts are also available in the bronze finish. Not sure why I am answering this. The Rockler nut and bolts are 1/4-20. The 2-3/4" bolt is Rockler # 31856. I use these for extra protection in joining cabinets. They worked great for me. Not sure they are for outdoor service. The bolts that I purchased are NOT fine thread. I need 1 1/4" or 1 1/2" help? BEST ANSWER: Sanding or grinding is always a good way to shorten a bolt if you don't have to take too much off, but remember to put a nut on the bold before you cut or grind, when you remove the nut it acts like a die and will clean up the threads as you remove it. I want to attach a steel plate to the underside of a wood table. Will these bolts screw into your hex drive inserts? 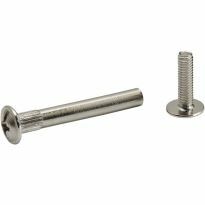 BEST ANSWER: These bolts are terrific for knock down furniture and will fit the inserts providing you match the insert thread to the bolt thread. Ex. 1/4-20. I'm not talking down to you but in the event you're not familiar with fastener terminology that means 1/4 inch diameter bolt with 20 threads per inch. Since it sounds like the fasteners will be hidden under the table you could use lag screws, large wood screws etc. Just don't use hardened screws such as a drywall screw for this application. 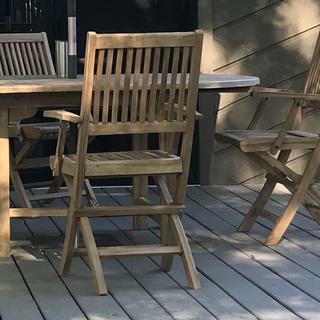 There's a lot of stresses on a table and tempered fasteners could snap. Hopefully I answered your question and didn't muddy the water. As long as they are both the same thread size, you would be fine. I believe they are 1/4-20. I need to repair a vintage Danish modern chair and I think this is the right bolt for the front piece, do you know what size I would need? BEST ANSWER: For 3/4" wood, 1 1/8" will work, but if the wood is thicker, go to a longer length of bolt. Screwing into a threaded insert, drill the hole for the threaded insert deeper than the insert will be so that any excess length of bolt won't cause a problem with closing the joint. For specific repairs you might just have to remove an existing bolt, and compare the specs to the new one. These are great connectors for shelving units, but I'm not sure if it will work for your application. I need to join 2x dimensional lumber. So the total thickness of the two boards is 3". What size connector bolts should I buy? 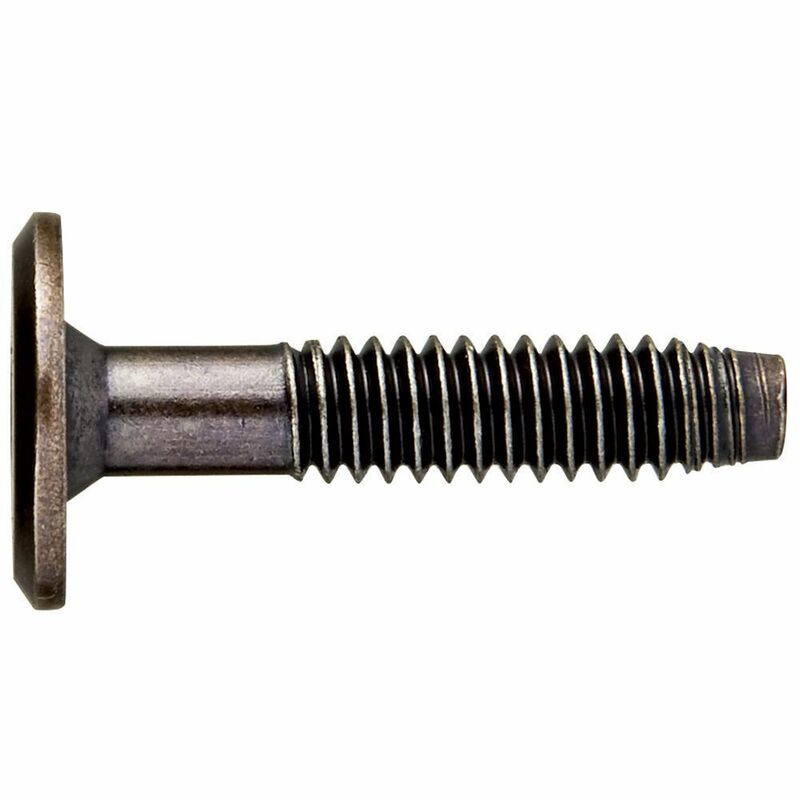 BEST ANSWER: It appears that you need to purchase the 3 1/2 inch threaded stud number 31864. I would call the main store to be safe. . I don't recall what the exact number that I purchased. I had joined 2 - 3/4 inch together. They did work very well! I figured out that to join 2x dimensional lumber it takes a 2 3/4" bolt. The caps are not threaded all the way through. That, IMO, would make it easier to cut them at the right length if you got ones too long. Anyway, the 2 3/4" long bolt combined with the length of the cap works just right. I am looking for 4 1/4 inch bolts for a bunk bed. I only see 4 3/4 and 3 1/2 sold on this site. Any idea where I can get 4 1/4? BEST ANSWER: You could cut 1/2" off the 4 3/4 bolt and run it through a die. Hi I am joining 2 x 2 sq in pieces of oak. Will the 3 1/2 in connectors plus 11/16 in end caps give me enough thread to work with?